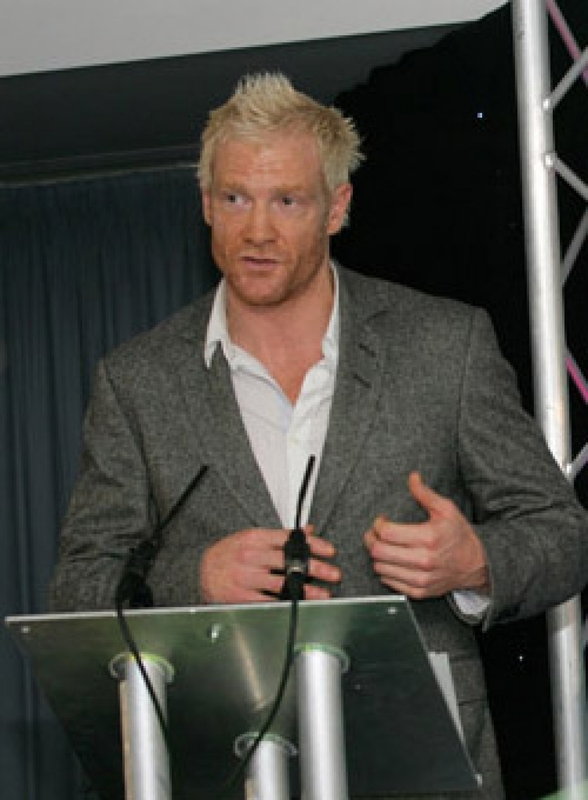 Iwan Thomas MBE is without a doubt, one of the greatest athletes that Britain has produced. Born on 5thJanuary 1974. His initial athletics breakthrough came at the "World Junior Championships" in 1992, as part of the British 4x400m relay team, in which they won 5th place. In 1993, Iwan attended West London Institute of Higher Education, studying Sports Science and Geography. Working extremely hard, Iwan managed to juggle his studies and training which paid off, in 1994 took part in the "Commonwealth Games" 400 metres, setting a Welsh Record where he reached the semi-finals, representing Wales. Making his mark at the "Commonwealth Games", in 1995, Iwan was selected to represent Britain in the relay at the 1995 "European Athletics Cup", where he secured his first championship gold medal. Iwan is the current UK record holder at 400 m.
From there his sporting career soured when he was selected to represent Britain at the 1996 Olympic Games, finishing 5th in the final and took a silver medal in the 4x400m event. Going from strength to strength, in 1997 Iwan was a member of the 400m relay team at "World Athletics Championships" in Athens achieving gold. 1998 was the most memorable year in Iwan's sporting career winning gold at the "European Championships" in Budapest in the 400m and 400m relay. More success followed at the "IAAF World Cup" in Johannesburg which saw Iwan claiming gold in the 400m and silver in 400m relay. Later that year he then went on to achieve gold in the 400m and bronze in the 4x400m relay at the "Commonwealth Games", Kuala Lumpur. Iwan has now carved a very successful television career, appearing on a variety of TV shows including "A Question of Sport", a guest panellist on channel 5's "The Wright Stuff" and starring in ITV's "Daily Cooks Challenge" as a judge alongside presenter Antony Worrall Thompson, to name a few. Iwan has also presented a 12 part series called "Destination 2012" for Channel 4 and is currently recording "Paralympics". Iwan is a very popular Guest Speaker, where he has spoken for Universities, businesses and at many prestigious events worldwide.